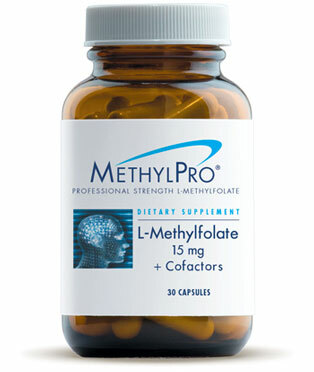 The professional-strength form of L-methylfolate recommended by your doctor. If your doctor has told you that you need the activated form of folate, then MethylPro® is for you. Folate is a B vitamin that is necessary for healthy mood, cardiovascular function, and reproduction. It is essential for life and development, which is why pregnant women need to take it every day. 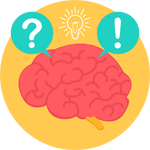 Lately, there is more evidence showing that folate promotes brain health. But even if you eat folate every day, your body may desperately need this B vitamin. Up to 50% of people don’t have the enzyme that “turns on” (or activates) folate to the body’s most useful form, L-methylfolate.1 This means that even if you take folic acid each day, your body may be unable to use it. This may mean you have the MTHFR gene mutation. People who have this genetic variation may have a nutritional deficiency of folate even though they are eating fortified foods, folate-rich foods, and taking over-the-counter vitamins. For nutritional support, doctors recommend that their patients take the active form of the vitamin known as L-methylfolate. If you have the MTHFR gene mutation, you could benefit from MethylPro®. Learn more about methylenetetrahydrofolate reductase, or the MTHFR gene mutation. Folate refers to the water-soluble B vitamins that we find naturally in whole and organic foods. Folic acid refers to the synthetic (or man-made) B vitamin that you find in dietary supplements and fortified foods. Folate is involved in countless biochemical steps in each cell of the body. 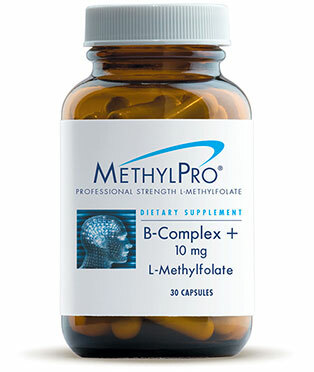 MethylPro® is a pure, hypoallergenic, high quality, professional strength L-methylfolate supplement designed specifically to support a range of indications linked to folate deficiencies. It is more affordable than other L-methylfolate products on the market. Metabolic Maintenance, the parent company to MethylPro, is a trusted source of high quality vitamins and has been serving healthcare providers in the industry for more than three decades. See how MethylPro compares to other L-methylfolate products. Which MethylPro® product is right for you? Your brain needs healthy levels of chemical messengers, called neurotransmitters, in order to work well. 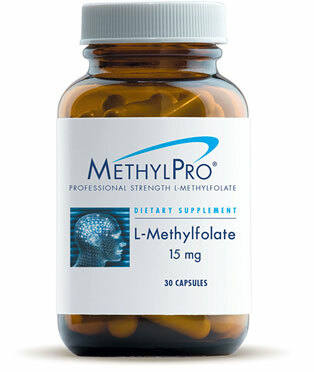 L-Methylfolate supports brain health by balancing mood-elevating neurotransmitters such as serotonin and dopamine. L-Methylfolate is involved in the production of melatonin, which is important for normal sleep patterns. Finally, L-methylfolate helps to make epinephrine and norepinephrine. Also called adrenaline and noradrenaline, these neurotransmitters help you respond to stressful situations. Low folate levels have been associated with mood disorders. Your doctor might recommend that you take supplemental L-methylfolate as first line therapy or as an adjunct to your current treatment. Homocysteine is an amino acid that, at high levels, has been linked to cardiovascular disease. L-Methylfolate helps to regulate homocysteine levels. It recycles homocysteine to its parent molecule (methionine), so that it does not build up in the body. If L-Methylfolate levels are too low, homocysteine can build up in the blood. High homocysteine increases the risk of heart attacks, stroke, and blood clots. It also can increase the risk of arteriosclerosis, a hardening of the arteries. People with high homocysteine are at higher risk of having cardiovascular problems, pregnancy complications, and are more likely to have a child with a neural tube defect like spina bifida.2 People with the MTHFR gene mutation are more likely to have high homocysteine, but do not always have high homocysteine. L-Methylfolate addresses high homocysteine levels in blood by optimizing homocysteine metabolism. It helps to prevent the buildup of homocysteine in the blood. Even if you have normal homocysteine, your doctor may recommend L-methylfolate to maintain moderate levels of homocysteine. L-Methylfolate can also support heart health by enhancing blood flow and increasing nitric oxide in the cardiovascular system. Nitric oxide is a beneficial chemical made by your body that relaxes blood vessels so that blood can flow more smoothly. Other vitamin and mineral cofactors are needed to regulate homocysteine and, when combined with L-methylfolate, can help you achieve healthy homocysteine levels. 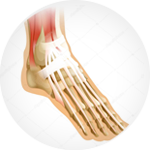 Peripheral neuropathy means that a nerve in your peripheral nervous system is damaged or not working properly. Your peripheral nervous system sends signals from your arms, hands, feet, and legs back to your brain and spinal cord. Peripheral neuropathy usually affects the feet and legs with symptoms of tingling, numbness, burning, and pain. Somewhere between 10 and 22% of people in the United States complain of neuropathy. Neuropathies can be caused by many different things, including vitamin deficiency, diabetes, or even toxic metals. Poorly controlled blood sugar in diabetics is one of the most common causes of peripheral neuropathy. L-Methylfolate supplements can promote healthy nerve function by supporting normal homocysteine levels and increasing nitric oxide production. Gout is a type of inflammatory arthritis. It causes sudden attacks of painful, red, swollen joints, usually at the base of the big toe. It also can affect the ankle, knee, or other joints. Gout is caused by a buildup of uric acid in the blood. High uric acid can form crystals and deposit in the joints, causing attacks of pain and tenderness. Foods rich in folate6 or folic acid supplements can reduce uric acid7 and support joint health. In megaloblastic anemia, there are low levels of immature circulating blood cells. The bone marrow releases red blood cells and they deliver oxygen throughout the body. When the body doesn’t have enough healthy, mature red blood cells, it causes fatigue, lightheadedness, and pale skin (or pallor). The most common causes of megaloblastic anemia are folate and vitamin B12 deficiencies. These vitamins are critical in the development and maturation of red blood cells. Certain medications can also cause megaloblastic anemia. Neural tube defects are serious birth defects that affect the brain or spine. Spina bifida is the most common neural tube defect and can paralyze the baby from the waist down. A baby’s neural tube normally develops into the brain and spine. If the neural tube does not close completely, the brain or spine can be seriously damaged. Folate is essential for normal development of the neural tube, brain, and spinal cord. 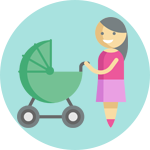 The Centers for Disease Control recommend that all women of childbearing age take folic acid every day to reduce the risk of neural tube defects. Women who consume healthful diets with adequate folate throughout their childbearing years may reduce their risk of having a child with a birth defect of the brain or spinal cord. Sources of folate include fruits, vegetables, whole grain products, fortified cereals, and dietary supplements. Even when eating fortified products, some women do not get enough folate. L-Methylfolate may be a perfect addition to a prenatal health plan because it is the most useful form of folate for the human body. Low folate levels together with high homocysteine may lead to multiple unexplained miscarriages. Eating a diet low in folate can cause low folate and high homocysteine levels. Also, genetic mutations in the enzymes involved in folate metabolism can lead to low folate and high homocysteine blood levels.8 While still controversial, some studies have suggested an association between the MTHFR C677T gene mutation and unexplained pregnancy loss.8 Your doctor may recommend the activated form of folate if you have a MTHFR gene mutation, high homocysteine, low folate, or a history of pregnancy loss. Marini NJ, Gin J, Ziegle J, et al. The prevalence of folate-remedial MTHFR enzyme variants in humans. Proc Natl Acad Sci U S A. 2008;105(23):8055-8060. Moll S, Varga EA. Homocysteine and MTHFR Mutations. Circulation. 2015;132(1):e6-9. Head KA. 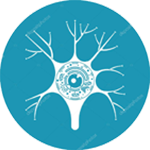 Peripheral neuropathy: pathogenic mechanisms and alternative therapies. Altern Med Rev. 2006;11(4):294-329. Octavia Y, Kararigas G, de Boer M, et al. Folic acid reduces doxorubicin-induced cardiomyopathy by modulating endothelial nitric oxide synthase. J Cell Mol Med. 2017. Yilmaz M, Aktug H, Oltulu F, Erbas O. Neuroprotective effects of folic acid on experimental diabetic peripheral neuropathy. Toxicology and industrial health. 2016;32(5):832-840. Lyu LC, Hsu CY, Yeh CY, Lee MS, Huang SH, Chen CL. A case-control study of the association of diet and obesity with gout in Taiwan. Am J Clin Nutr. 2003;78(4):690-701. Qin X, Li Y, He M, et al. Folic acid therapy reduces serum uric acid in hypertensive patients: a substudy of the China Stroke Primary Prevention Trial (CSPPT). Am J Clin Nutr. 2017;105(4):882-889. Luo L, Chen Y, Wang L, et al. Polymorphisms of Genes Involved in the Folate Metabolic Pathway Impact the Occurrence of Unexplained Recurrent Pregnancy Loss. Reproductive sciences. 2015;22(7):845-851.